Yesterday HP rolled out webOS 3.0.2 68 for their new TouchPad tablet. The update includes enhancements to the Calendar, Email, Photos & Videos, and Browser applications. webOS also gets tweaked in this release. 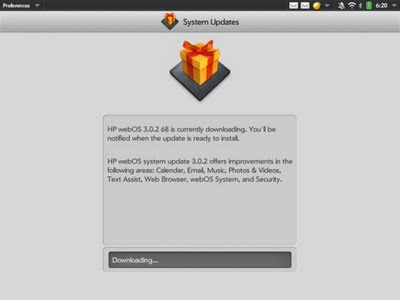 HP has posted the full change log for the webOS 3.0.2 update on their website.